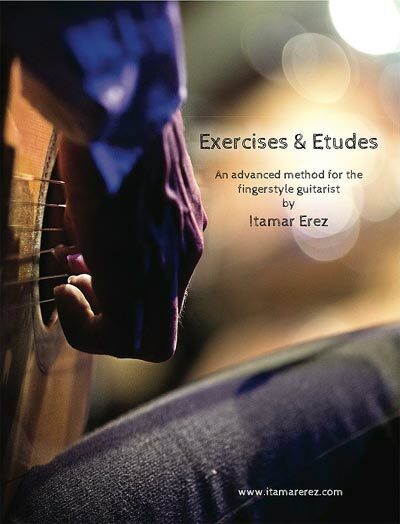 Transform your guitar skills with Itamar Erez's new ground-breaking book "Exercises & Etudes". This advanced method for fingerstyle guitar will apply mainly to classical and flamenco guitarists — but will be beneficial to fingerstyle players of all styles. "I focused on the musicality of the exercises and the etudes trying as much as possible to make this a joyful experience for the student..."
The exercises in the first section are designed to improve the students’ technical skills, while the etudes in the second section are little musical compositions that utilize these newly acquired skills.